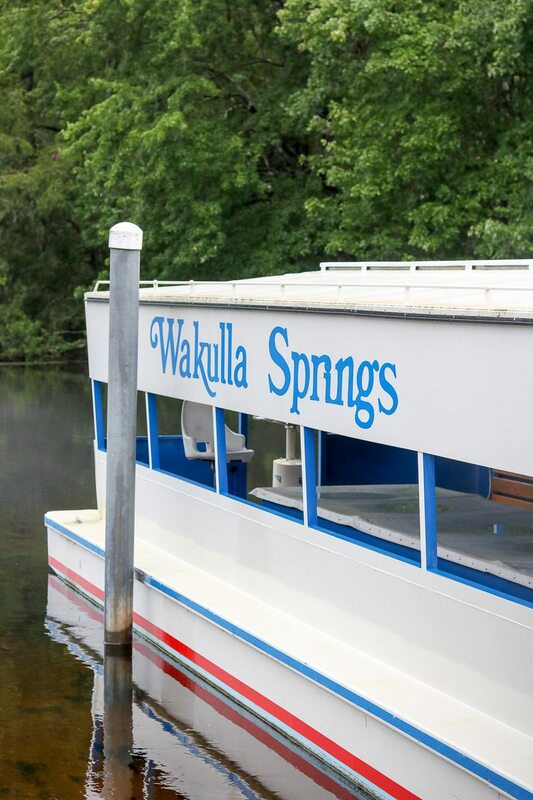 Visit Wakulla Springs State Park and Lodge for a great family vacation. 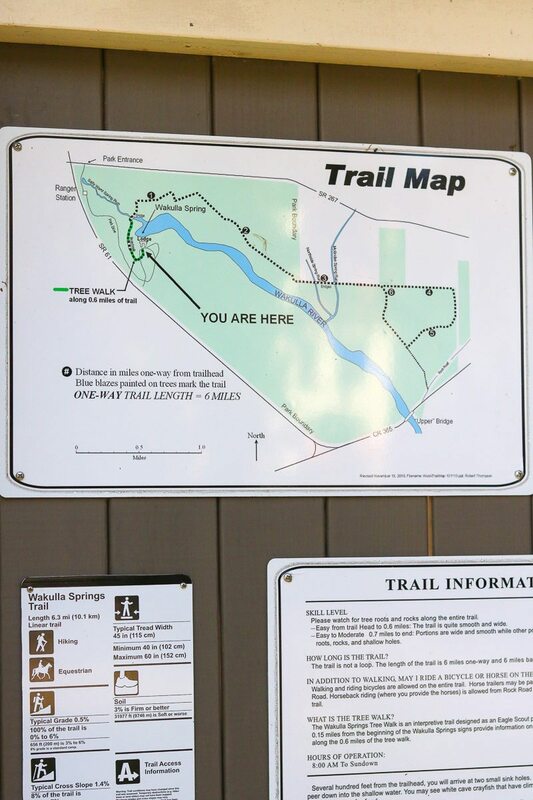 Check out my suggestions on what to do while visiting this beautiful park in Florida. There is something about old state parks in America. They bring you back to nature and are filled with so much history. 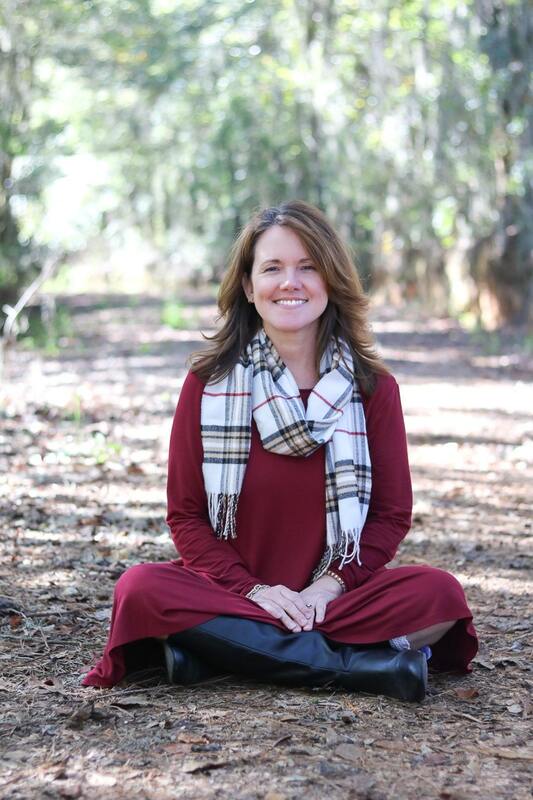 Which is why I couldn’t wait to share with you one park that is very special and a wonderful place for the whole family–Wakulla Springs State Park and Lodge. The lodge has much to offer any family member from cozy rooms to stay the night to delicious meals and desserts in the dining room. Originally this lodge was constructed for Edward Ball, a wealthy businessman who purchased the spring and property for his own private retreat and business functions. Here’s a little more about the history but let’s get back to more about the lodge. 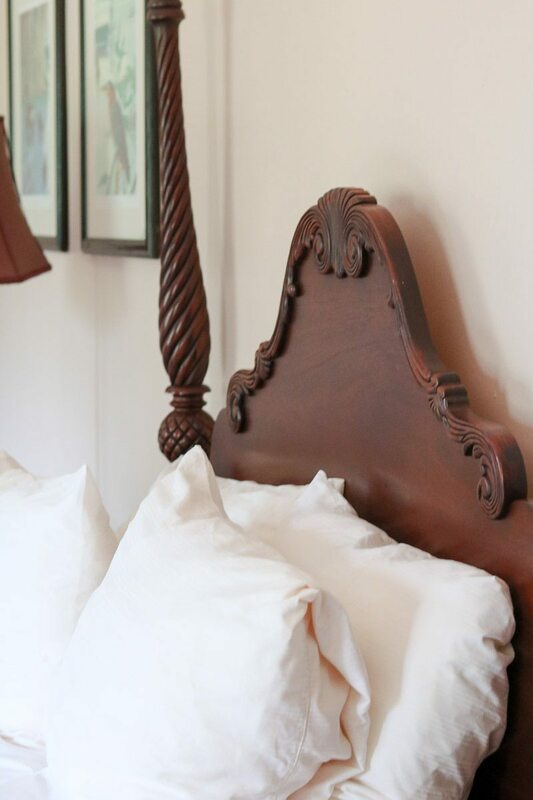 If you can stay a few nights then try out one of their rooms and enjoy all the quiet moments of the park after hours. After a restful night, there are lots of activities to choose from at the park. One of my favorite things to do is the jungle cruise. 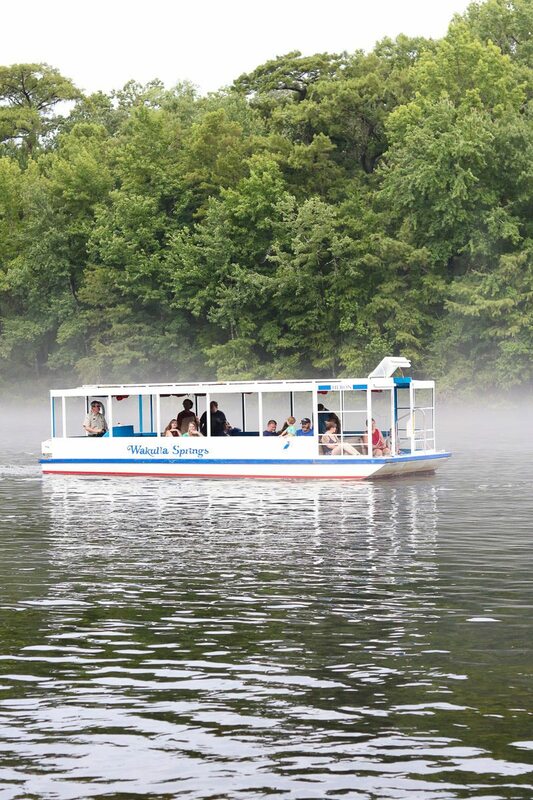 The vintage boat takes you back in time while the captain tells you all about the movies made here and other interesting facts about the park and its history. As you make your way down the river through the beautiful primeval forest, your guide will call your attention to the abundant wildlife along the way. 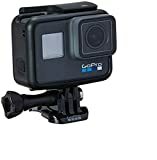 Guests will likely see alligators, snakes, manatees and a wide variety of water birds and maybe an Osprey or Bald Eagle. After your jungle cruise, spend some time hanging out by the water. Find a spot under the shade of one of the many tall Cypress trees and enjoy a short nap or jump off the high dive into the icy 70-degree spring water. 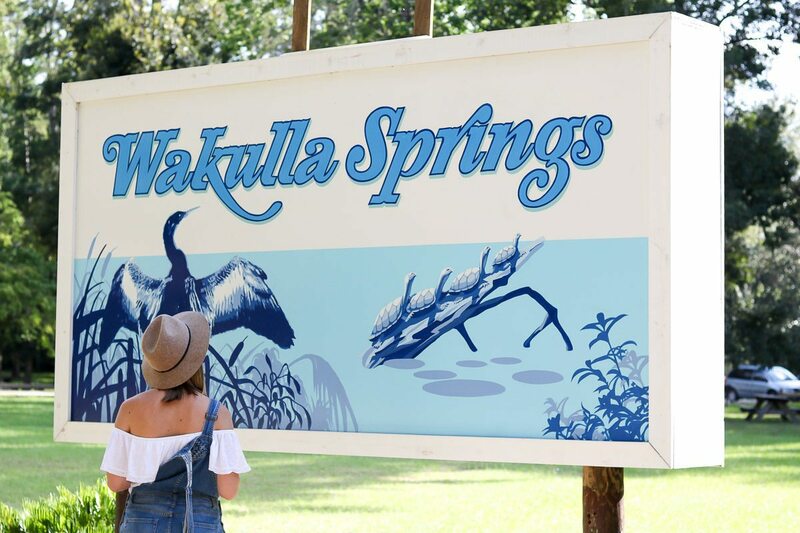 Since the water is coming from the Floridan Aquifer, Wakulla Springs water maintains this constant temperature year-round. I have heard that some park guests even enjoy swimming here in the winter. After a cruise and a swim, you may feel that urge for a snack or lunch. 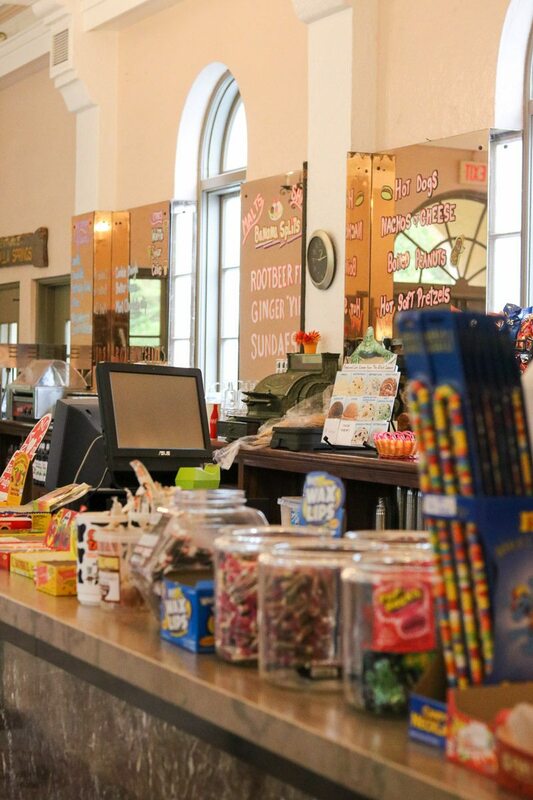 Now is the perfect time to walk up to the lodge’s soda fountain and gift shop. They have lots of fun snacks and lunch options. One of our favorite things to do is come have a cool ice cream cone on these hot summer Florida days. And I dearly love the nostalgic feeling and atmosphere of the soda fountain. Hiking in these beautiful woods is a treat for all visitors. There are many types of beautiful trees to enjoy in this mature forest. Common species include Live Oaks, Loblolly Pines, Southern Magnolias and Hickory just to name a few. Make sure to spray yourself with some bug repellent before you go out to enjoy these natural wonders of Florida. By now most your day has passed, but there are still some special moments waiting when you get ready for dinner and a relaxing evening. Let’s start with dinner in the dining room. The menu is delicious and includes selections of local seafood. 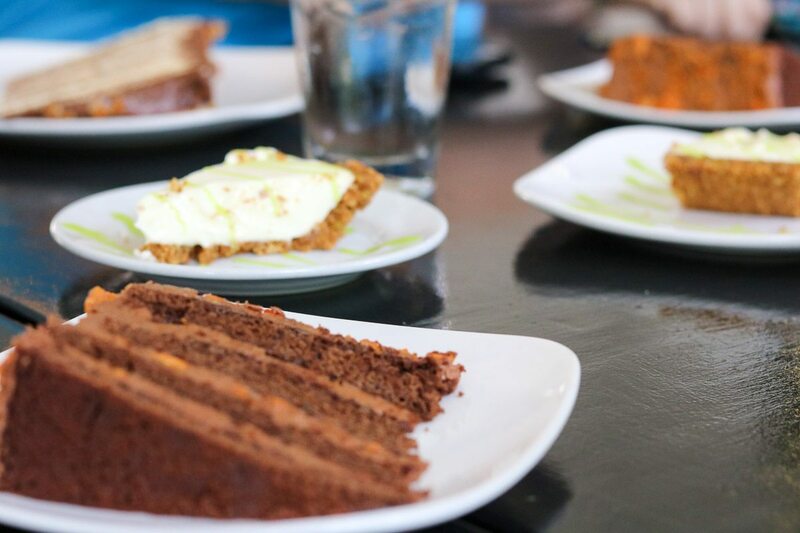 Make sure to leave room for the best southern desserts you are likely to find anywhere! Now that your tummy is full it’s time for some rest and relaxation in the lobby. This is another favorite place for many reasons. You can lounge by the fireplace or gaze at the amazing ceiling! 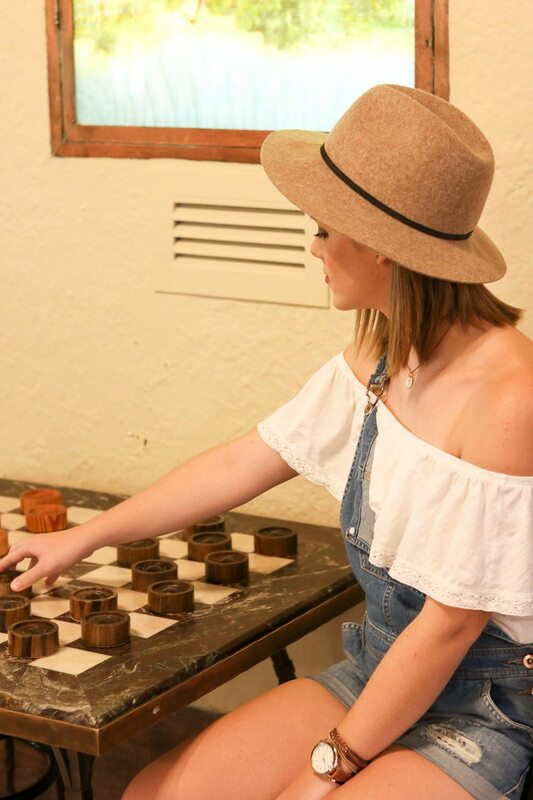 Another fun idea after dinner is to play some checkers with friends or family. A beautiful day and evening have come to an end and now it is time to climb up these lovely iron and marble stairs and retire to your comfortable room. 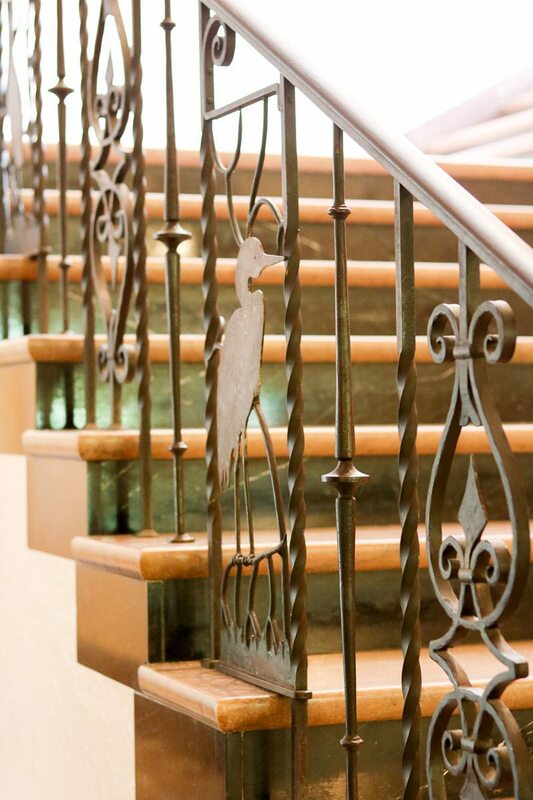 I especially adore the detailed ironwork that gently accents this Floridian lodge. 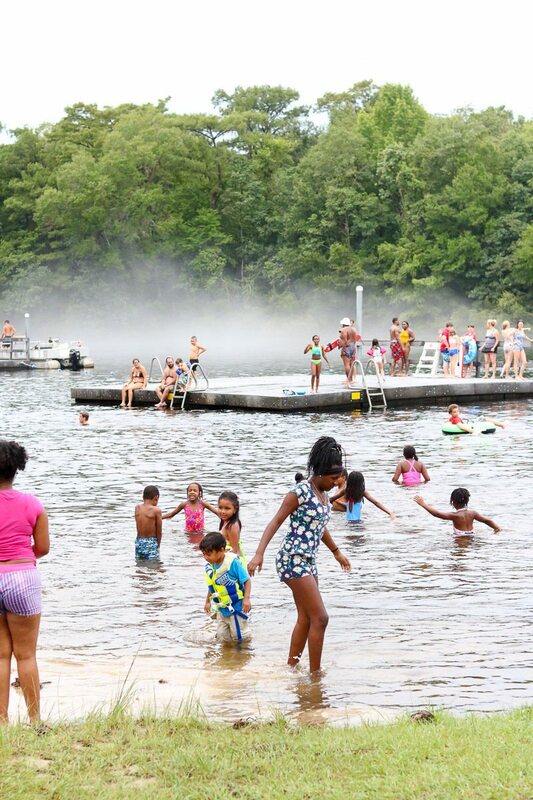 As you can tell, Wakulla Springs State Park and Lodge is a special place that will transport you back in time and bring you a little closer to nature. If you’re looking for something different and a place to get away from the hustle and bustle then this is a great place for you! To read more about the lodge history check out my other post called Beautiful Old Wakulla Springs Lodge History. Have you ever dreamed of going on a non-traditional relaxing family vacation? I would like to invite you to sign up for emails HERE for Life on Summerhill so you don’t miss out on any new trending styles for your home. Looks like a fun place. Thanks for the preview. Oh goodness, it looks lovely, especially with the slush of yesterday’s nor’easter making walking treacherous in NYC. I wish I could drop everything and go spend a week there! I wish you could drop everything too and come visit Wakulla. The winter time is a great time to visit because it is even more quiet and just as beautiful. That sounds really fun. Adding this to my bucket list. Love laid back places to visit. If you really want a laid back experience go in the winter time. It is very quiet and so beautiful! I love visiting state parks whenever I visit somewhere new. There is so much fun and history! thanks for sharing this one! You’re welcome! I know exactly what you mean. There is something about state parks.